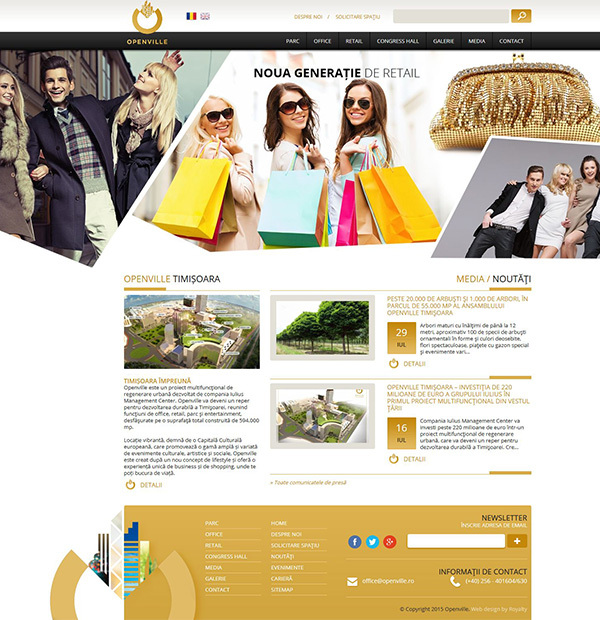 Royalty Webdesign has developed the official presentation website for the new mall in Timisoara - OpenVille. Multifunctional urban regeneration project will be developed by the company Iulius Management Center and will be one of the largest shopping center sites in Romania. It will become a landmark for sustainable development of Timisoara, bringing together the functions of office, retail, entertainment and park, developed on a total built area of ​​594,000 square meters.